I don't need to hesitate when somebody asks me what my favourite film of all time is. There is no shadow of a doubt that Guillermo Del Toro's masterpiece occupies the top spot. Fantastic acting, inspired plotlines, incredible sets and mashing two dissonant worlds together to highlight their differences makes this film stand head and shoulders above its contemporaries. Pan's Labyrinth is a 2006 Mexican Spanish-language fantasy film, set shortly after the Spanish Civil War starring Ivana Baquero and Sergi Lopez and directed by Guillermo Del Toro. 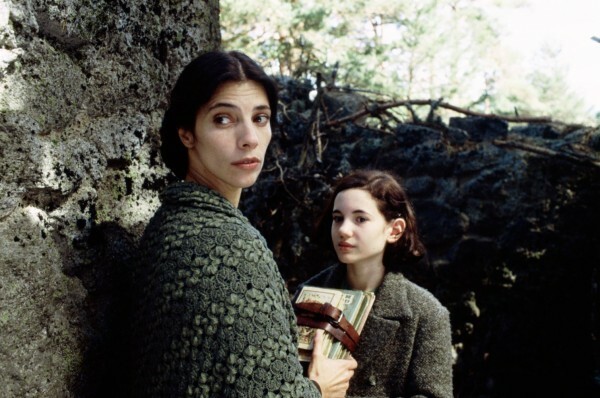 The film tells the story of a teenage girl, Ofelia (Baquero) on the cusp of puberty, who following her father's death and her mother's subsequent remarriage to the psychopathic Captain Vidal (Lopez) of the Spanish Civil Guard, escapes to a fantasy world, guided by a faun (Doug Jones) who gives her agency and purpose in a land and time that would otherwise give her none. This fantasy is disobedient because it sets itself up for cliches frequently, but then deftly avoids them. Ofelia starts the hero's journey but instead of becoming stronger and more powerful, gets screwed over every time. The mandrake she is given to heal her mother makes loud noises that gets it discovered and Ofelia in trouble. She is sent to the Pale Man's banquet hall having been sent to bed without eating dinner and is then chastised for eating. The roles of traditional fairytales are often reversed too. There is no handsome prince; the men in the film are either reckless or cowardly and in either case many people die as a result. The women are the stronger characters. Ofelia is of course incredibly brave in an unforgiving climate. Her mother makes sacrifices to protect her and give her a better life, even if her choices were horribly misguided. Mercedes works as a double agent and upon her discovery comes out fighting rather than accepting her fate. 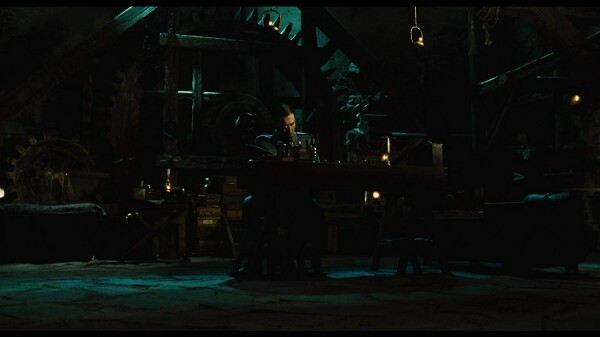 Let's talk about the set design. 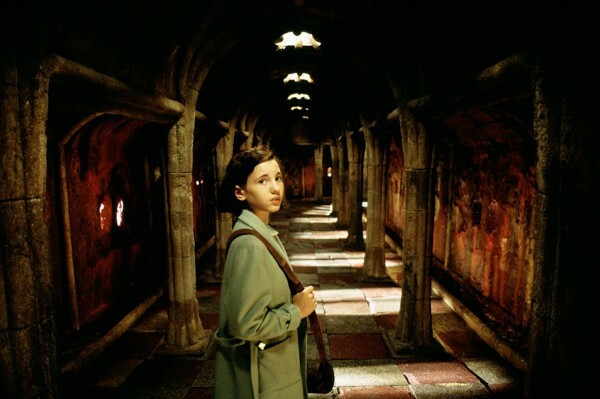 Del Toro wanted to create a clear distinction between the 'real' world and 'fantasy' world, but what you may not have noticed is the fantasy world is designed around circles and curves, while the real world around straight lines. The only circular item in the real world is a wheel on the side of a mill which is broken, symbolising the departure it has made from the more magical land. 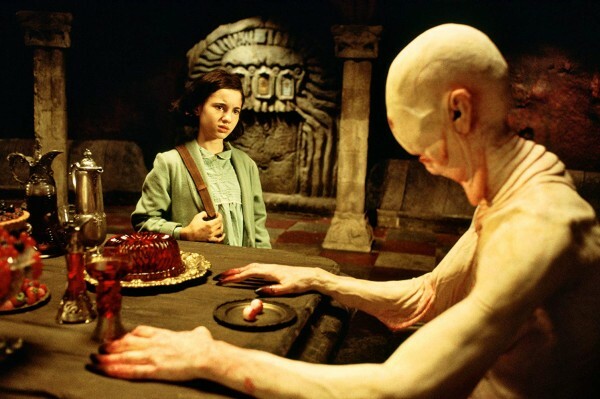 But no analysis of Pan's Labyrinth would be complete without discussing the Pale Man. Doug Jones has worked with Del Toro on many films playing creatures in costumes of varying degrees of complexity. The uncanny valley the Pale Man falls into as well as Jones's jerky animalistic movement makes it one of the most terrifying monsters depicted on-screen. The film takes inspiration from a lot of old and also some more contemporary mythology. The Pale Man is loosely based on Krampus, the Germanic Christmas demon who punishes naughty children, but in appearance and movement pays tribute to more modern urban myths such as skinwalkers and the Slenderman. The inclusion of empty children's shoes of previous victims of the Pale Man is a strong reference to the Holocaust in WWII. Fauns and labyrinths are a big part of ancient Greek mythology and magical frogs are a staple of Germanic fairytales. The final act of the film has an air of Lorca-esque surrealism, Lorca being the early 20th century Spanish playwright who used surrealism to criticise Spanish politics in a time when directly criticising it would have earned him a visit from the Civil Guard. The acting in this film is more or less perfect too. Most of the actors have their humanity show through cracks in their facade, exposed by fear in a time of severe oppresion and it puts the audience in the moment, in the time, without needing to understand the politics to discern the motives. The exception to this is of course Sergi Lopez. The casting director allegedly told Del Toro that he didn't know what he was doing casting Lopez as a villain as he was known as a comedic actor in Spain at the time. Boy, was Del Toro right. Captain Vidal is one of the most detestible baddies of all time, while still remaining entirely believable in his role. The music is blended like the scenery too. The mystical, floating theme that announces Ofelia's travels in the fantasy world is offset by harsh horns when the real world action is in full flow. If you have seen this film before and know the plot reasonably well, I suggest you turn off the subtitles so you can cast your eyes around the gorgeous scenery. I can speak Spanish, so I don't really need them and I can tell you that you can miss plenty while fixed on reading the dialogue. Until recent times, fantasy was seen as a bit of a low-brow genre; something for lesser writers to use if they wanted to write something fun and ineffectual without any specific meaning behind it. The Lord of the Rings trilogy threw the floodgates open and Pan's Labyrinth was the first break out. So if you're after an incredible fantasy epic as grounded in reality and humanity as it is flirting with magic and horror, then the greatest film of all time, in my opinion, Pan's Labyrinth is a film you should watch this Christmas.